"Easily one of the best decisions we made concerning our big day, the McCartneys are the whole package! The day of the wedding goes by too fast, so having an extra camera on hand made sure that we were able to capture all of our special moments. The McCartneys shoot traditional film, adding that last missing element from comparable photos we have seen. The cherry on top of our experience is the personal connection that we made with our photographers. 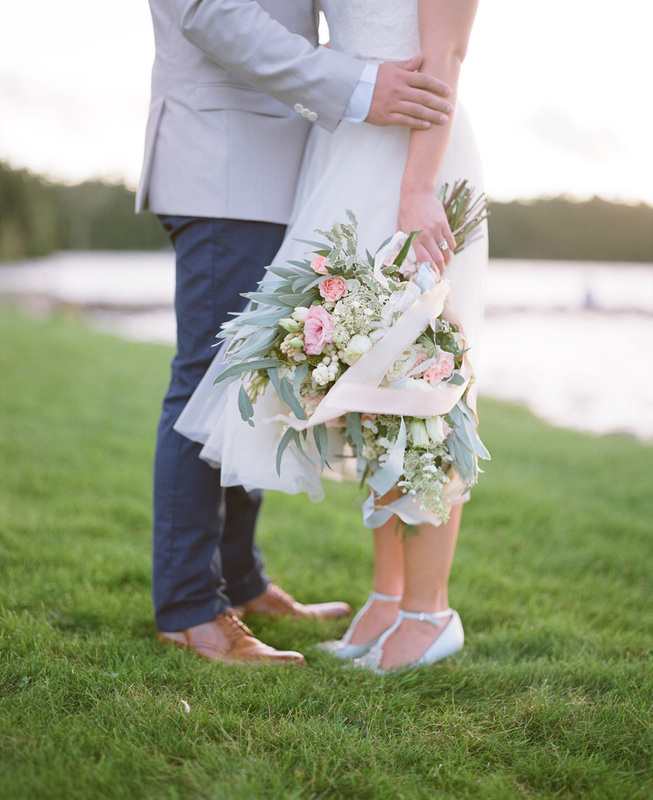 From our consults, to a dinner meeting here and there, and all of the way through the wedding." The McCartneys have a huge heart for creating heirloom images for couples to cherish for a lifetime. They are recognized for the genuine energy and years of experience they bring to a wedding through their work. The majority of a wedding day is photographed using film, a medium Kelsy & Butch consider perfect for their vision of your wedding day. Timeless, romantic, luminous, and real. Medium format, 35mm & their beloved Holga are a few of the cameras you'll see hanging from every limb they have to tell the story of your day! Accepting just 12 wedding commissions per year, Kelsy & Butch pride themselves on providing the highest quality experience to their couples. When not taking pictures, The McCartneys love spending as much time with their family & friends as possible. Hiking with their Cavapoo pup, Parker, traveling, getting out on the water, and relaxing with a glass of wine are a few of their favorite ways to spend time together. Kelsy & Butch love laughter with every fiber of their being and bring that energy into not just their lives, but wedding days & portrait sessions as well. You will rarely find either of them without a smile on their face! 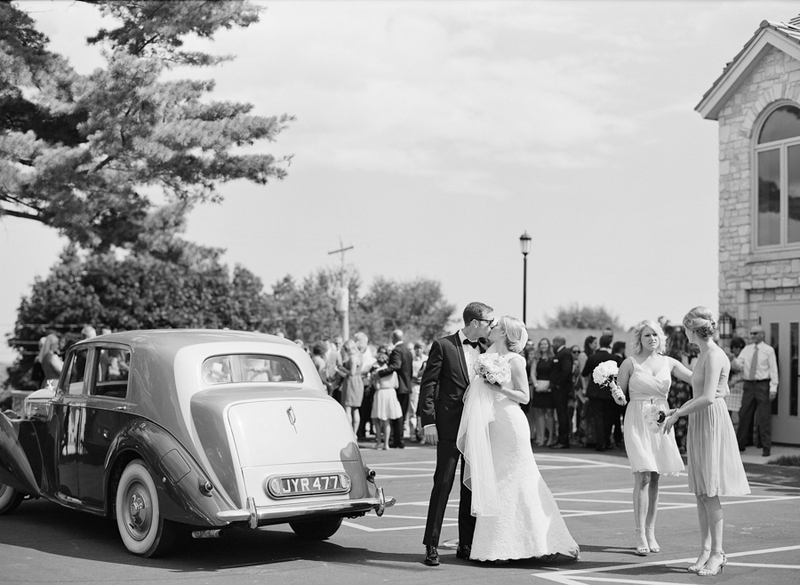 As a full-time husband & wife photography team Kelsy & Butch have photographed 200+ weddings side by side. Reading one another's minds knowing where the other is going to be at any part of a wedding day is just one of the super-powers they have acquired over the last 10 years in business. Their couples love the effortless synchronicity & shared passion Kelsy & Butch bring to their wedding experience. Pictured above are The McCartneys with four of their Door County wedding couples –– who were all at the same Gordon Lodge wedding! When a Door County boy meets a Central Wisconsin gal and two of their favorite things are photographing near water & exploring new places, they are constantly hopping around to adventure with their cameras. Kelsy & Butch's studio is located in downtown Wausau, Wisconsin. 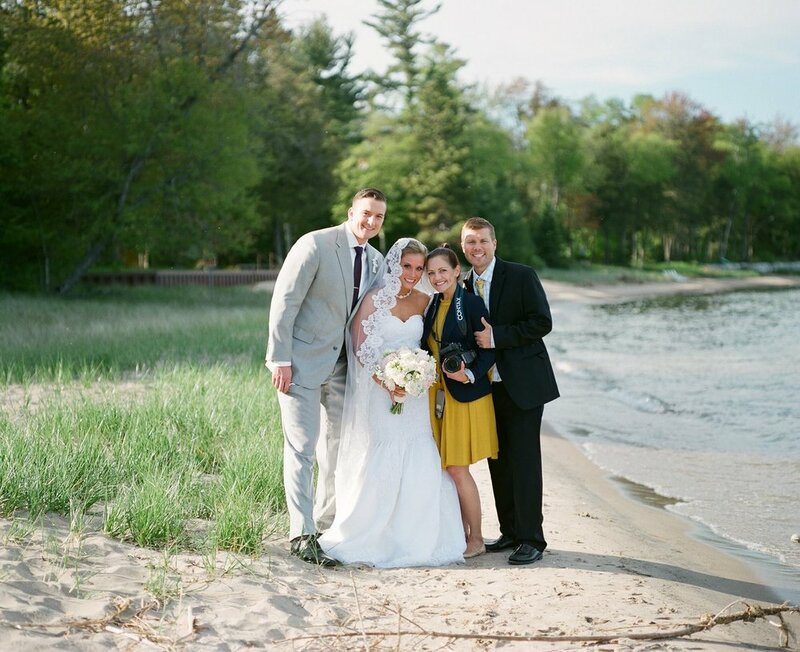 Most of the weddings they photograph take place in beautiful Door County (Butch's hometown) and a few of their favorite places to photograph are Madison, Minneapolis, Milwaukee, Northern Wisconsin, Charleston, and Northern California. They also dream of visiting Greece and Italy.